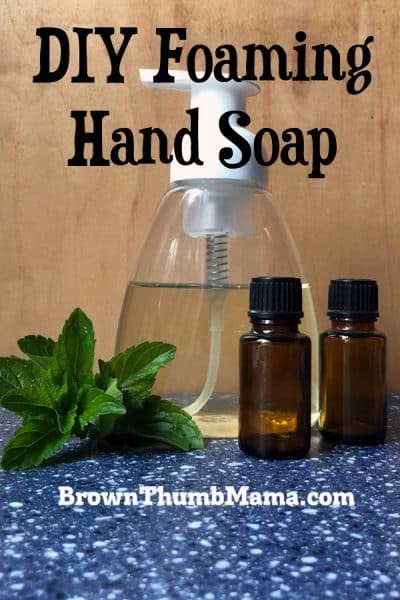 Ditch the chemicals and make your own foaming hand soap with just 3 ingredients. This gentle, natural soap is moisturizing and cleans thoroughly without artificial ingredients. Add any scent you like with essential oils! Who has walked down the hand soap aisle at Target and been amazed at all the varieties of soap you can buy? I saw Fig & Rhubarb foaming hand soap the other day…wow. When you buy those fancy brands of soap, you’re getting a lot more than you’ve bargained for. Most–even natural brands like Method–contain artificial colors, preservatives, and sodium chloride. Yes, there is table salt in your liquid soap. Let’s take a look at this bottle from the Stinky Bath Store. That’s a whole lotta chemicals! And it costs $6.50, to boot. It would cost me $25+ to put a bottle of this at every sink in the house. With two kids (and their friends) making messes at our house all the time, we have a lot of hands to clean. 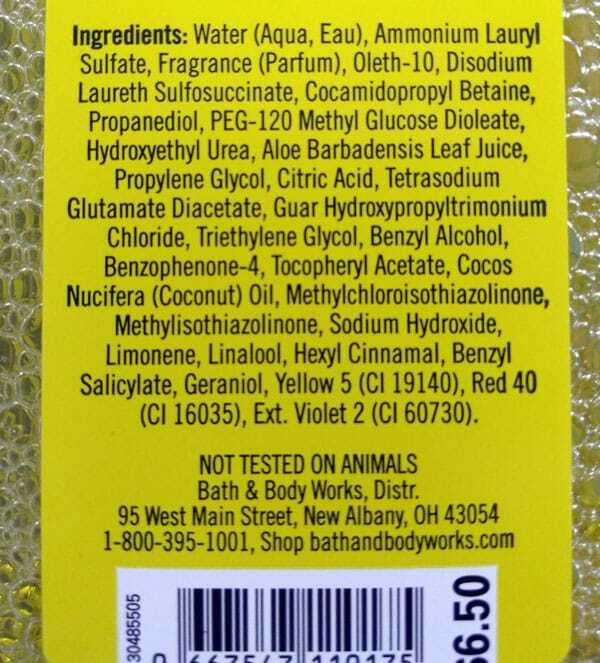 We don’t use antibacterial soap, and I don’t want to buy soap with weird chemicals in it. 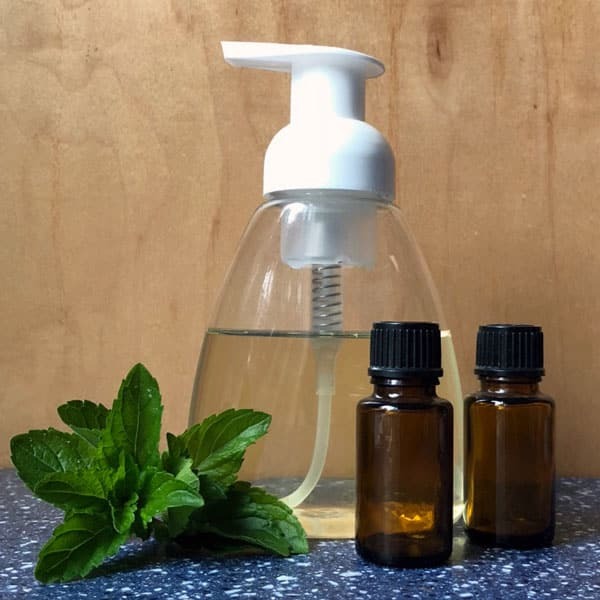 It’s easy to make your own moisturizing foaming hand soap with three natural ingredients. Let’s do this! Distilled water. We’re using distilled water because it’s less likely to have contaminants, bacteria, pharmaceuticals, lead…many of which can be found in tap water. Yuck. Vegetable glycerine. 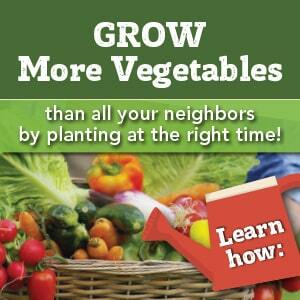 Vegetable glycerine is made from plant oils. It’s moisturizing and gives your soap a thick, luxurious feel. Liquid unscented castile soap. Castile soap is a gentle, plant-based soap that can be used in numerous ways for cleaning. Foaming hand soap dispenser. 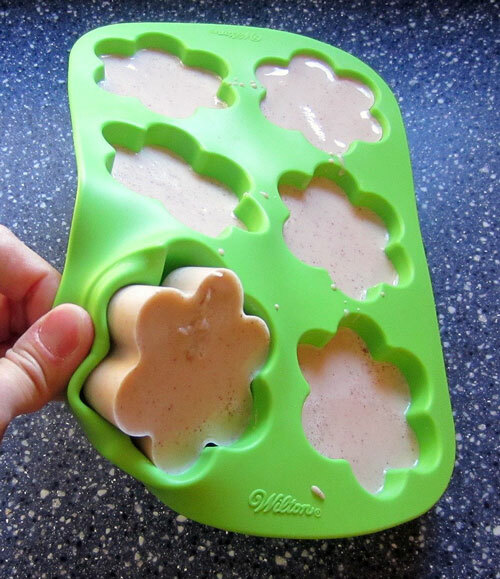 These have a special mechanism that turns the liquid into foam. You can get them on Amazon or recycle one you already have. Essential oil. Essential oils are optional, but are great for scenting your soap and/or giving it antibacterial properties. Measure 2/3 cup distilled water, and pour it into the soap dispenser. If you’re clumsy like me, a funnel will help. Add 1 teaspoon of vegetable glycerine and 1/3 cup castile soap. If you’re using essential oils, add 15 drops. 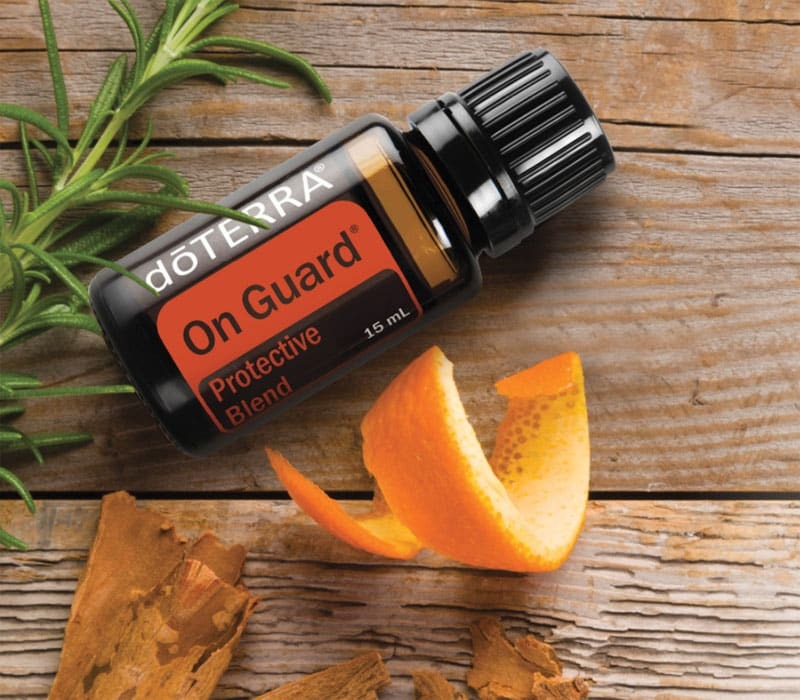 You can use a single oil or a combination of oils. Put the top on the dispenser and gently swirl the ingredients together. Label the bottle and you’re done! How easy was that?!? Prefer bar soap? No problem. Learn how to make bar soap without using lye. Measure 2/3 cup distilled water, and pour it into the soap dispenser. If you're using essential oils, add 15 drops. You can use a single oil or a combination of oils. P.S. If my comment above makes you wonder what’s in your tap water, check out EWG’s Tap Water Database. Type in your zip code to find out what’s in your water…and then get a Big Berkey. Can I use a non-foaming soap dispenser? I have a lot of the normal kind and would rather not purchase something new.